Good preparation is the key to success it is true however the methods and materials used can make a difference to both quality, longevity and finish. Here we see the use of a micro-porous masonry paint system applied to relatively new lime based render. Choosing the right combination of paints systems is critical if a job is going to last. Often internally a neutral decoration scheme is required, typically in larger developments. 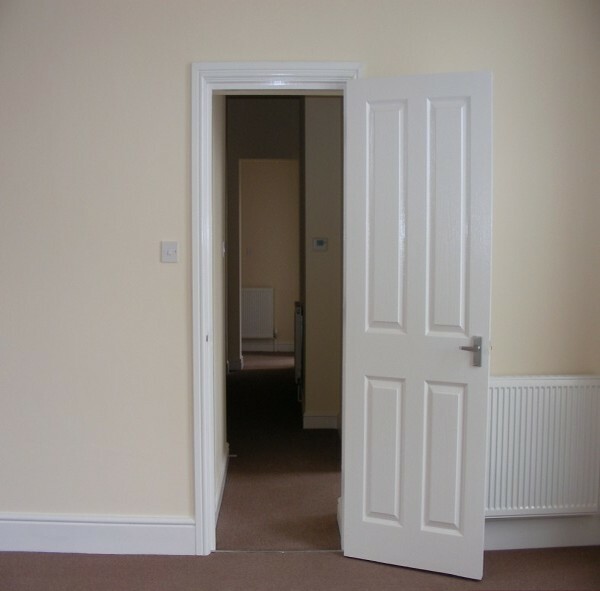 Apart from a finish that will withstand normal day to day living this sort of work requires the ultimate care in application as the finish is always going to be under close inspection. The picture opposite shows one aspect of a completed flat conversion in neutral colours of (yes you guessed it) - magnolia and white.